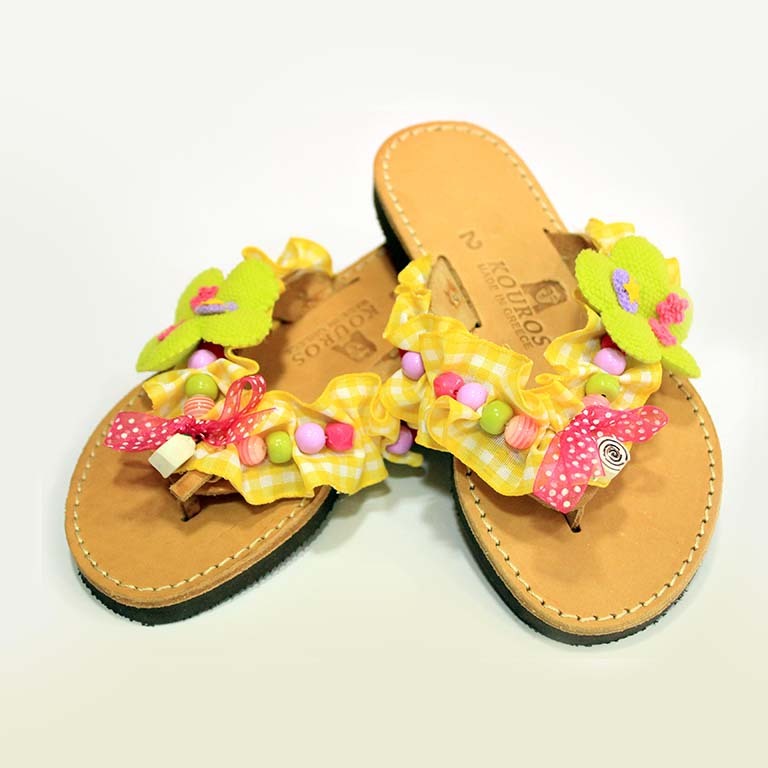 Kid's leather flip flops decorated with checkered ribbon, acrylic beads, cloth flower. Available in sizes 23,24,25,26,27,28,29,30,31,32,33,34. For any size you wish inform us in the comments of your order.